Washington, NJ (Borough) is an interesting place in NJ. It is completely surrounded by Washington Township. So what will we find? Washington is a borough in Warren County, New Jersey, United States. As of the 2010 United States Census, the borough’s population was 6,461, reflecting a decline of 251 (-3.7%) from the 6,712 counted in the 2000 Census, which had in turn increased by 238 (+3.7%) from the 6,474 counted in the 1990 Census. The borough is located in the easternmost region of the Lehigh Valley. Washington was incorporated as a borough by an act of the New Jersey Legislature on February 20, 1868, from portions of Washington Township. The borough was named for George Washington, one of more than ten communities statewide named for the first president. The Borough of Washington is surrounded by Washington Township, which is one of five municipalities in the state of New Jersey with the name “Washington Township”. Washington Borough separated from Washington Township as of February 20, 1868. The community grew during the 19th century as a result of the transportation routes that ran through or near the borough. The Morris Canal ran along the north end of town and two rail lines of the Delaware, Lackawanna and Western Railroad crossed inside the borough. Intersecting in the center of the borough are two major roadways, which today are Route 31 and Route 57. The borough was ultimately named after the “Washington House”, a tavern built by Revolutionary War Col. William McCullough in 1811 that was later destroyed by fire in 1869. During the late 19th and early 20th centuries, the borough became a mecca of musical instruments manufacturers, the manufacture of organs in particular. A bustling downtown developed around these businesses. Many of the Victorian style houses in the borough, as well as Taylor Street School and Warren Hills Middle School (formerly Washington High School) were built during this period. The advent of the automobile brought Washington closer to both the Lehigh Valley and New York City. In the years following World War II, the population increased, and there were many new houses and apartment complexes built. A portion of the Downtown area was devastated by a major fire in 1962. Education at the Middle and High School level was regionalized in 1968, and a new elementary school was also built (Memorial School). The 1990s saw a population boom in Warren County, which continues today, as high real estate prices and property taxes in New Jersey’s northeastern counties push buyers to look further west. Although the borough itself does not have much room to grow, it has benefited from the growth of the nearby townships. Efforts are underway to revitalize the downtown with new residential and retail properties. According to the United States Census Bureau, Washington borough had a total area of 1.945 square miles (5.039 km), including 1.942 square miles (5.030 km) of land and 0.003 square miles (0.009 km) of water (0.18%). Pohatcong Mountain is a ridge, approximately 6 mi (9.7 km) long, in the Appalachian Mountains that extends from west Phillipsburg northeast approximately to Washington. Upper Pohatcong Mountain extends northeast of Washington approximately 6 mi (9.7 km) to the vicinity of Hackettstown. The two ridges are sometimes called “Pohatcong Mountain” collectively. At the 2010 United States Census, there were 6,461 people, 2,623 households, and 1,668 families residing in the borough. The population density was 3,326.8 per square mile (1,284.5/km). There were 2,897 housing units at an average density of 1,491.7 per square mile (575.9/km). The racial makeup of the borough was 85.73% (5,539) White, 6.01% (388) Black or African American, 0.09% (6) Native American, 3.42% (221) Asian, 0.08% (5) Pacific Islander, 2.21% (143) from other races, and 2.46% (159) from two or more races. Hispanics or Latinos of any race were 8.50% (549) of the population. There were 2,623 households, of which 30.9% had children under the age of 18 living with them, 46.3% were married couples living together, 12.0% had a female householder with no husband present, and 36.4% were non-families. 30.2% of all households were made up of individuals, and 8.7% had someone living alone who was 65 years of age or older. The average household size was 2.46 and the average family size was 3.09. In the borough, 23.9% of the population were under the age of 18, 8.4% from 18 to 24, 28.8% from 25 to 44, 28.3% from 45 to 64, and 10.6% who were 65 years of age or older. The median age was 38.3 years. For every 100 females, there were 95.9 males. For every 100 females age 18 and over, there were 92.6 males. The Census Bureau’s 2006-2010 American Community Survey showed that (in 2010 inflation-adjusted dollars) median household income was $57,468 (with a margin of error of +/- $7,449) and the median family income was $68,510 (+/- $11,488). Males had a median income of $53,654 (+/- $13,162) versus $41,755 (+/- $12,531) for females. The per capita income for the borough was $30,554 (+/- $5,374). About 8.1% of families and 10.6% of the population were below the poverty line, including 11.4% of those under age 18 and 14.0% of those age 65 or over. Notable annual events include Washington Celebrates America, which takes place every July 4; Warren Arts and Craft Beer Festival, held every year in April; and Festival in the Borough, which takes place every September. 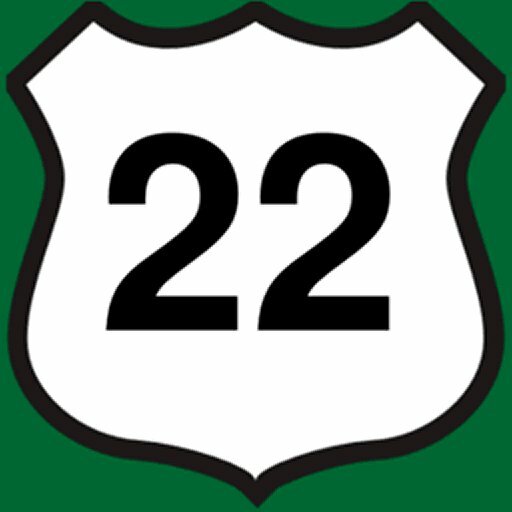 As of May 2010, the borough had a total of 27.03 miles (43.50 km) of roadways, of which 23.99 miles (38.61 km) were maintained by the municipality, 0.15 miles (0.24 km) by Warren County and 2.89 miles (4.65 km) by the New Jersey Department of Transportation. John Henry Brodhead (1898–1951), educator who served as president of the American Teachers Association. Johnston Cornish (1858–1920), former U.S. Member of Congress and Mayor of Washington. Ashley Nicolette Frangipane (born 1994), female music artist known by her stage name, Halsey. Bobby Levine (1923-1997), jazz saxophonist. Ron Mrozinski (1930-2005), Major League Baseball pitcher who played parts of two seasons in the majors, 1954 and 1955, for the Philadelphia Phillies. Christian Sharps (1810-1874), inventor of the Sharps rifle, the first commercially successful breech-loading rifle.